Fill the shot 1/3 of the way with grenadine. Using the back of a spoon (bar spoon if you have one), pour in the white Creme de Cacao. Use the same technique to fill the final 1/3 with blue Curacao. This is a layered shot, with the end result being a layer of red, then white and blue. Enjoy the effect. 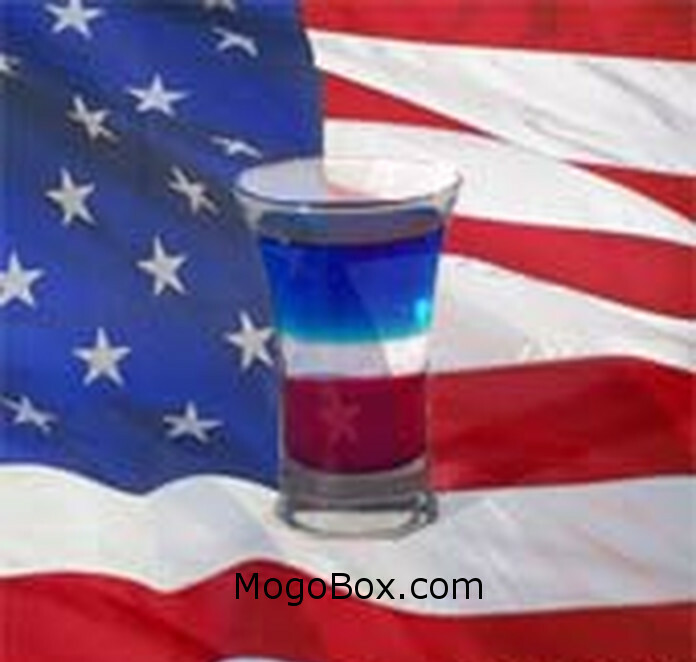 This entry was posted in MogoBlog, MogoLicious and tagged Creme de Cacao, Curaçao, Grenadine.